Want to improve your lawn? Think of it as a carpeted floor for your garden that enhances the landscape, much like attractive flooring flatters indoor rooms. Here are some invaluable hints to help maximize the beauty of your lawn and make it low-maintenance. 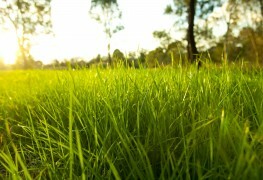 Lawns are composed of turf grasses, and different grass species have specific preferences for soil, sunlight, and climate. Good care can bring out the best in any turf grass, but the reason your lawn fails to respond to your efforts could simply be that the grass does not fit the site. Switching to a different grass species or blend of several species that is better adapted to your yard may be the answer. 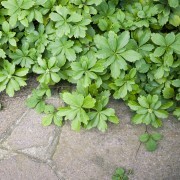 You could also plant groundcovers in areas that are too shady, too dry, or too steep for grass to thrive. Groundcovers are also invaluable for filling spaces that are awkward to mow, and for reducing the size of your lawn and the maintenance it requires – while preserving a desirable lush, green look. 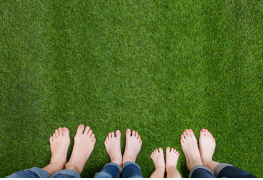 Whether you are improving an established lawn or planning a new one, the first step toward a care-free lawn is to assess your site. In general, grasses grow best where there is a slight slope to facilitate drainage and where they receive at least a half day of sun. A slight slope is built into most home landscapes, because one of the last steps in house construction is grading the area around the foundation so that rainwater will naturally flow away from the building. If the grade of your yard is so steep that mowing is difficult, planting the area with a variety of care-free, soil-retaining groundcovers is usually the best and least expensive solution. Another one would be to build a low retaining wall that divides the slope into two or more manageable "steps" containing graded soil. If shade from large trees confounds your efforts to grow a lush lawn, the first step is to prune off low-hanging tree branches within three metres (10 feet) of the ground. If this technique (called "limbing up") proves insufficient to make the site bright enough for lawn grasses, it will at least make the area hospitable to shade-tolerant groundcovers. If dense shade is inevitable, an alternative is to encourage moss to grow. Moss grows naturally in moist, cool shade and can create a velvety, green "lawn" that tolerates foot traffic. It can go dormant during dry spells, requiring no irrigation, but will spring back after the first rainfall. Apart from pulling a few weeds, moss requires no other maintenance. 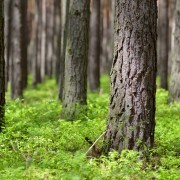 Never jump to the conclusion that you must eliminate trees in order to have a more lush lawn. In fact, municipal by-laws may prohibit you from pruning or cutting down trees on your property without the prior approval of town hall. Instead, work out ways to help stately trees and shrubs grow in happy harmony with your lawn. 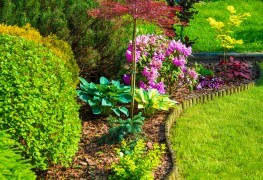 This isn't as difficult as it might seem and will result in a more handsome landscape.